Car accidents are one of the leading causes of death for children in America. 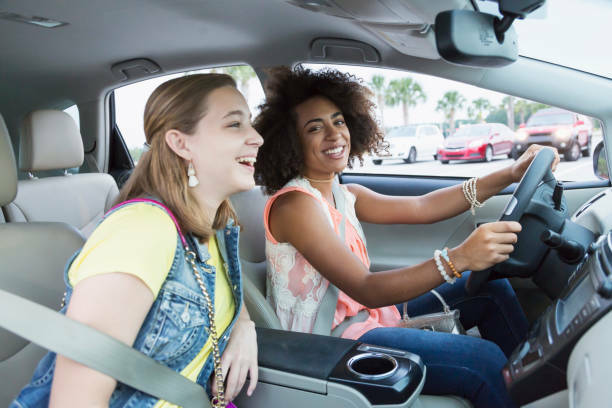 Failing to secure your young ones when they ride in your vehicle can have dire consequences. The fact that most of these deaths are avoidable has made it necessary to implement laws that govern child safety on the roads. Failing to install your car seat correctly puts your child at high risk if the seat is dislodged or shifts in an accident. In other words, it will not perform its role of protecting your child from trauma, injuries, or even death. There is no better way to make a safe installation than following the manufacturer’s instructions. Bell & Pollock, a top legal firm, has created a detailed guideline on how to ensure that your child is properly restrained in the vehicle. This legal firm also helps people negotiate for better compensations in case of an accident. Following stringent guidelines is crucial when it comes to installing your child’s car seat. The potential consequences for skipping this step are not worth it, bearing in mind that most of the child mortality cases resulting from accidents are mostly avoidable. Check whether the seat you are looking to install for your child is suitable. Some vehicles have seats that are unsuitable for child restraints. A typical example is the extra set of seats at the rear end of a station wagon. Recent research has shown that children are always safer at the back compared to the front of a vehicle. Your child should not travel in the front seat until they are at least 12 years old. It is crucial to know what position to place your car seat, bearing in mind that those children below seven years of age should never travel in the front seat. Consider installing the car seat in the middle or at the back row of seats since these are the safest spots for a child to sit. You can fit up to three child restraints in the back seat, depending on the size of your vehicle. However, you should ensure that there is a separate anchor point for every seat. After installing your child car seat, it is necessary to visit a certified inspector, just to be sure that your seat has been installed correctly. This is especially crucial for new parents. The good news is that your birthing center will most likely have a professional who is tasked with checking your car seat before your newborn enjoys its first ride home. Additionally, car seat dealers will also have a knowledgeable individual on site to help you out with the whole installation process. The services of such individuals may be helpful, although most of them are not certified. Your local fire station is also a worthy option if you need extra help.